More girls are getting the HPV vaccine — but it's just not enough, according to the CDC. Reuters reports that today, the CDC announced #teen vaccination numbers for 2013: 37.6 percent of girls 13 to 17 got the full three doses of Gardasil. That's just a minuscule increase from 2012, when it was 33.4 percent. 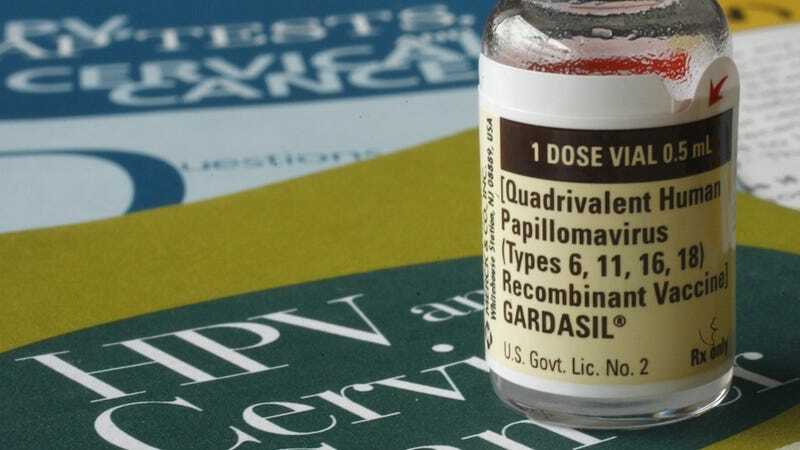 "It's frustrating to report almost the same HPV vaccination coverage levels among girls for another year," Dr. Anne Schuchat (director of the CDC's National Center for Immunization and Respiratory Diseases) told Reuters. The bright spot: boys vaccinated jumped from 6.8 to 13.9 percent. Be safe out there, kids!